Hair extensions can help you create beautiful locks. 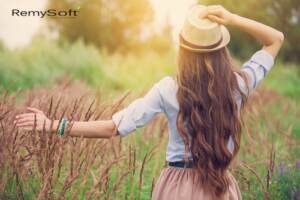 When you have long hair, whether naturally or because of the addition of hair extensions, taking good care of your hair is different than if you have a shorter do. For starters, you need to use hair products for remy hair, such as the Glam Rocker sulfate free shampoo. 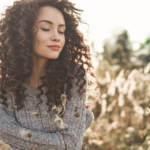 In addition to using the right shampoo and conditioner to protect your hair, these tips will ensure your long locks look great and stay healthy. Regular brushing is one of the best ways to promote the health of your hair and help it continue to grow well. Using a wide toothed comb will help you gently detangle your hair and reduce the occurrence of breakage. When you do brush and comb your hair, make sure to pull gently. Being careless will cause more pain and can lead to brittle hair that easily breaks. Excessive pulling can also cause your hair extensions to come loose. Sulfate free shampoo helps your long hair look great. Washing your hair when you’re wearing hair extensions doesn’t need to be done on a daily basis. 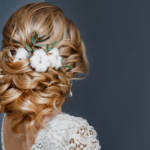 In fact, if you wash your hair too often, you could weaken the connection between the extensions and your own hair and cause them to loosen prematurely. In addition to reducing the number of times you wash your hair, make sure you use a sulfate free shampoo and conditioner to ensure the longevity of your locks. Styling your long hair is a necessity because you need to make sure you protect your remy hair to prevent damage. This means staying away from heat as much as possible. There are several natural methods of achieving the curls and waves you’re looking for. If you must use a styling tool, keep the heat low. For ponytails and other updos, don’t pull elastics too tightly to avoid damaging your hair extensions. Cotton and other synthetic materials may feel soft to the touch, but they can easily snag your hair and cause tangles, especially with longer hair. Silk is your best option for keeping your hair healthy while you sleep. Choose silk pillowcases and consider wrapping your head in a silk scarf. The smooth silk will prevent tangles, which can lead to breakage when you’re coming or brushing. Vitamin E has a lot of benefits for your natural hair and can also benefit your remy hair extensions. Regularly massage this vitamin oil into your hair and scalp, promoting healthy hair growth. You can use this oil by itself or consider mixing it with coconut oil. 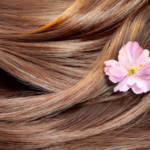 Taking care of your long hair, especially when you have hair extensions, can be a challenge. If you want your extensions to last longer, it’s important to use these tips to ensure your hair is clean and beautiful. These steps will help you protect both your natural hair and any replacement pieces you are using to enhance your look. If you’re looking for the best sulfate free shampoo for your hair extensions, contact us. Our Glam Rocker products are designed with extensions and remy hair in mind.